Using HTML (web) forms online often leads to the arrival of huge amounts of SPAM. This is due to the poor protection of HTML forms. Specific routines (SPAM bots) investigate sites on the Internet and index such forms, later using them to send SPAM e-mails. 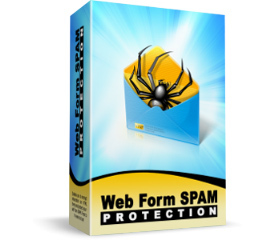 Web Form SPAM Protection enables you to encrypt information on HTML forms and protect yourself from SPAM. Web Form SPAM Protection has been designed to be simple. It doesn't require PHP or ASP support so you don't need any programming knowledge or skills. Just select the code for your form or the source text for your entire document (the program itself will separate the code for the form from the other information - it will be marked green). Then press the Protect button. You can then copy encoded information to your memory (clipboard) or save it to a file. It's that easy - no more SPAM!